The United Stated Constitution affirms "Life, Liberty and the pursuit of Happiness". The pursuit of happiness is defined as a fundamental right mentioned in the Declaration of Independence to freely pursue joy and live life in a way that makes you happy, as long as you don't do anything illegal or violate the rights of others. The pursuit of happiness is the right that you have to live your life in a way that brings you joy. "pursuit of happiness." YourDictionary, n.d. Web. 09 April 2019. <https://www.yourdictionary.com/pursuit-of-happiness>. 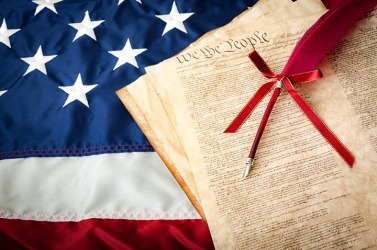 An inalienable right enumerated in the Declaration of Independence, in addition to life and liberty; the right to pursue any legal activity as long as it does not infringe on the rights of others.